the name of the deceased’s next of kin. Embalming is a very effective way of slowing down the body’s decomposition process, so that the body is preserved until the burial or cremation has taken place. It involves the injection of chemicals into the body and protects those who may come into contact with the body from unnecessary health risks. Embalming enables us to present the deceased to relatives for viewing, in as close a life- like appearance as possible, making their last memory of the deceased as pleasant as possible. Embalming is a requirement by airline companies when human remains are being repatriated. Each funeral is different and costs depend on a number of factors. See here for a detailed breakdown of funeral costs. 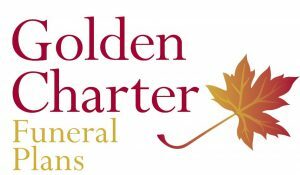 We are pleased to show visitors around our funeral homes, to answer any questions you may have, or discuss special requirements or arrangements you may wish to put in place. Further Information on Death and Bereavement can be found here. The family can contact Ward's Funeral Home directly and we can organise everything. We will organise for the deceased to be removed from the place of death to a suitable place of rest where the deceased will repose until all the paperwork, necessary when moving the deceased from one country to another, is completed. At this stage, because Ward's Funeral Home are looking after all aspects of the funeral arrangements, the family have the opportunity to choose a traditional Irish coffin or casket directly from our showroom at the funeral home, or browsing our coffin selection online. Also, at this time, the family can decide if they would like the remains to travel by air or road. Remains travelling by road can arrive at the final place of repose back in Ireland just as quickly as remains travelling by air, given that the remains must be present at the airport well in advance of the departure time, and that it takes a minimum of one hour before the remains are received by the funeral director at the airport of arrival. Remains travelling by land - This gives the family, the guarantee of personal supervision of the deceased at all times during repatriation, and as less people are involved, the chance of mistakes or mishaps is negligible. The family can contact their local funeral director in the UK to organise the complete UK side of the funeral and we at Ward's Funeral Home will meet the remains at the chosen airport and look after all the necessary arrangements, in Ireland, in a professional manner. This service can be provided from as little as €500.00, depending on the final arrangements, plus disbursements. This option can be more expensive depending on the place of death within the UK and the fees you will incur with the UK funeral director. This option takes longer to organise than option 1, as more people are involved, which makes it a less personal service. Please note that Ward's are independent funeral directors who provide a full 24 hour service, 365 days of the year, and this level of service may not be available from our UK counterparts. Also, as the UK-based funeral director takes care of preparing and presenting the deceased, it is unlikely that a tradtional Irish sytle coffin will be used.